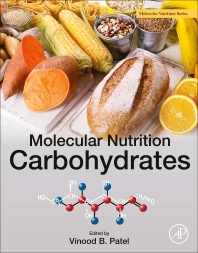 Molecular Nutrition: Carbohydrates presents the nutritional and molecular aspects of carbohydrates. As part of the Molecular Nutrition includes sections covering carbohydrate metabolism, carbohydrates in the diet, insulin resistance, dietary sugars, cardiometabolic risk, lipoproteins, low-carbohydrate diets, antioxidants, refined dietary sugars, fats, glucose transporters, glucose sensing, the role of phosphorylation, carbohydrate responsive binding protein, cyclic AMP, peroxisome proliferator-activated receptors, SIRT1, insulinotropic polypeptide (GIP) and GIP receptor (GIPR) genes rRNA and transcription, and more. In addition, the book addresses emerging fields of molecular biology and presents important discoveries relating to diet and nutritional health.